Clarence Leon Parfitt is a former international cricketer who many consider to be one of the greatest bowlers that Bermuda has produced. Nicknamed “Tuppence”, he was born in St Georges on July 16th 1944 and was a left-handed batsman and left-arm medium pace bowler. Parfitt made his Cup Match debut for St. Georges in 1965 where he took 15 Somerset wickets for 43 runs. During his Cup Match career he bowled 598 overs and took 115 wickets making his the best bowler in Cup match history. He played for Bermuda from 1966 until 1981, and represented Bermuda in the 1979 ICC Trophy where the team reached the semi-finals of the competition. During international matches he performed the impressive feat of twice taking ten wickets in an innings. Cricket was the one thing I stuck to. It came naturally. Cricket was the national sport. We played in summer from sun up to sun down in alleyways, on the beach, anywhere. There is always big pride playing for your country. It was instilled in us because we were such a small place. And we didn’t fear anybody. We had touring teams from all over the world stopping in but we weren’t afraid. We never thought we weren’t good enough and even when we lost we took it graciously knowing we’d given 100 per cent. I’ve been lucky. I played against some of the best players in the world in the 60s and 70s including the great West Indies teams, New Zealand, English counties, India and Pakistan. I loved that 70s West Indies team best of all. You had Clive Lloyd, Basil Butcher. I also played against Gary Sobers, Michael Holding. You name them, in that era I faced them all. He moved to Scotland, where he would go on to play for the Scottish cricket team on twelve occasions, including nine List A matches, between 1988 and 1990, making his debut against Derbyshire. In 2001 he had one of his kidney’s surgically removed, as it contained a “golf ball sized tumour” that was suspected to contain a cancerous tumour. Doctors at Ninewells Hospital in Dundee, Scotland performed the operation and Parfitt made a full recovery with the tumor turning out to be benign. 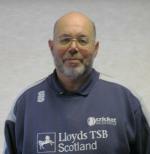 He is now a Development Officer for Cricket Scotland, and was inducted into Bermuda’s Sporting Hall of Fame in 2004.